Ernestine S. Sweeney 81 of Torrington Ct passed away peacefully surrounded by her family on January 26, at Charlotte Hungerford Hospital. She was the beloved wife of the late Charles E. Sweeney Sr. for 57 years. She was born on April 23, 1937 in Winsted Ct. Ernestine was the daughter of the late Lillian ( Cochran ) and Ernest Ellis. She was devoted to her family and loved spending time with them. She was employed by the Register Citizen prior to her retirement. 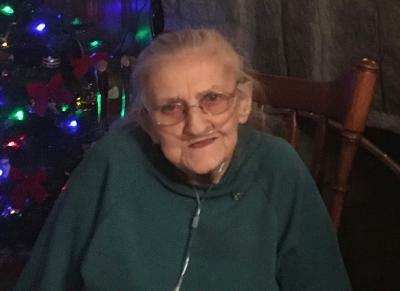 Ernestine is survived by her son Charles E. Sweeney Jr. and his wife Geraldine of Torrington, a granddaughter Aimee Fusco and her partner Jason Gould and great grandson Joseph DiPippo of Torrington. She is also survived by a brother Daniel Ellis of North Carolina, and sisters Pauline Coolbeth and Jeanette and Harlan Tibbetts of Torrington and Betty and Michael VanDeBogart of Winsted. She was predeceased by her brother Raymond Ellis, daughter Belinda Sweeney and grandson Michael Fusco Jr. of Torrington. The family will receive relatives and friends on Thursday January 31st from 5:00 -7:00 PM at Phalen Funeral Home in Torrington Ct. Burial will be at the convenience of the family at Barkhamsted Cemetery.